All clients will be deemed to have accepted Loving Pet Care Aylesbury's terms and conditions as laid out here on signature of the contract. Full payment for services agreed either at time of booking or subsequently is to be made within 7 days of receipt of invoice or, by the date specified on the invoice via cash or cheque. Failure to pay will result in a further 5% of the total amount payable being charged each additional day without payment. Where services are required on a long-term basis clients are able to make payment on a weekly, fortnightly or monthly basis. Any visits/Walks cancelled will need 48 hours notice, if cancellation is not recieved 48hrs prior to visit, full payment will be required. Too care for your pet while you are away, We will charge for services as quoted and a non refundable deposit of 50% of the total sum due is payable on completion of your booking. Should you return early from the original outlined booking full payment will still be required. Notice is to be given for Bank Holidays and will be subject to availability. Additional fees will be charged which you will be advised of at time of booking. The client must provide all items necessary for pets to be cared for in the client's absence i.e., food, medication, leads, kitty litter etc. Should pets require any additional supplies whilst in the care of Loving Pet Care Aylesbury, these will be purchased and added to the bill. The Client is to provide keys or make them available for Loving Pet Care Aylesbury for the appointment. If it is necessary for keys to be picked up or dropped off charges will be applied for each trip. The client must provide Loving Pets Care Aylesbury with the name and contact details of someone who can make a decision relating to the pet(s) in an emergency. If the contact is not available Loving Pet Care Aylesbury reserves the right to consult with a veterinary surgeon and then make a decision which is in the best interests of the animal. The client is responsible for any veterinary bills, no matter how they are incurred, whilst pets are in the care of Loving Pet Care Aylesbury. Loving Pet Care Aylesbury must be informed of any behavioral problems with pets at the time of the meet and greet. Loving Pet Care Aylesbury will not be held liable for any damage to client’s property, or that of others, or to members of the public caused by client’s pets during the period in which they are in its care. 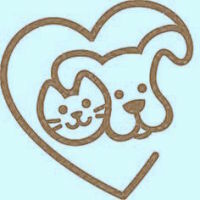 Loving Pet Care Aylesbury will care for your animal as if they were their own and whilst we will make every effort to ensure your pet is well looked after in your absence, Loving Pet Care Aylesbury cannot be held liable for any loss, injury or death to a pet either inside or outside of the home whilst in our care. We will also not be liable for the disappearance, injury, death, damage or fines of any pet with unsupervised access to the outdoors. All dogs will be exercised on a lead unless agreement has been reached with client and a disclaimer form has been signed. Loving Pet Care Aylesbury is not responsible for damage incurred by pet escaping because of a faulty leash/collar or a collar that is not properly fitted. Loving Pet Care Aylesbury will use personal judgment and can cancel or cut short a walk if necessary because of extreme weather conditions (i.e., High Winds, thunder storms) for the safety of both the dogs and the walker. We will still visit for the allocated time and the dog will be given time outside for a quick leg stretch and toilet break and then the rest of the visit will be spent inside getting cuddles, Play and fuss so they still benefit from company. Your dog will normally be back from our allocated walking time Approximately 5 minutes prior to the end of the visit. This then enables Loving Pet Care Aylesbury to provide them with fresh water, food, and treats. Please note for messy walks we can provide a quick toweling off after walks but are unable to provide a wash.
Loving Pet Care Aylesbury will ensure they make adequate steps to ensure your home is safe and secure in your absence, however Loving Pet care Aylesbury cannot be held responsible for any burglaries or accidents caused by your pet. This agreement is valid for all future visits until a new agreement is signed. Loving Pet Care Aylesbury reserves the right to terminate this agreement at any time. Loving Pet Care Aylesbury reserve the right to amend these terms and conditions of business and in doing so will post notification of changes on the website so all clients should regularly check for any changes. Loving Pet Care Aylesbury will do our best to arrive at your home at the agreed time for your Pets visit, but due to the nature of our work, on a very rare occasion we may not arrive at the allotted time, so please leave a 1 hour window either side of your agreed time slot for us to complete your visit. If we cannot achieve this due to an emergency we will ensure your pet is provided with suitable arrangements i.e. we will provide a shorter visit this is done to ensure that all the animals receive the best quality care. On the very rare occasion we cut short the time spent with your pet you will be refunded and only charged the time we have spent with them.